Passive income is a goal for many coaches and in 2019 there are a variety of ways to make that dream a reality. 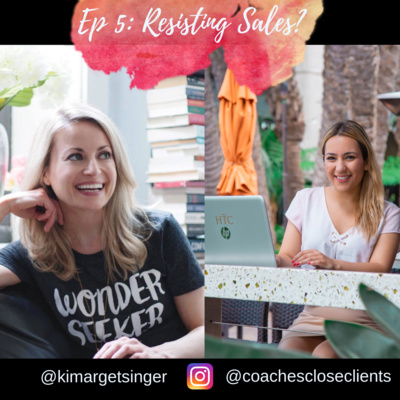 In this episode we chat about how membership sites can be a stream of passive income for coaches and consultants and how coaches can leverage them to generate passive income. Book a call to learn more about working with us: https://www.meetme.so/coachescloseclients Join the Coaches Close Clients facebook group for exclusive training and a community of awesome coaches: https://www.facebook.com/groups/251118932246795/ Declan is an entrepreneur based in Pittsburgh, Pennsylvania where he runs a small web development agency focused on building custom online courses and membership sites for coaches and consultants. You can learn more about his business here: https://bricknclick.co. Book a call with us: https://www.meetme.so/coachescloseclients Oliver Wolf is a Business Strategist, Sales Coach and Visionary for The Wolf Syndicate. He began his entrepreneurial journey almost a decade ago in Montreal in a non-typical way. Having come from a dark place, he has completely recreated himself, his universe and has become a beacon of inspiration. Oliver, now 26 years old, has been a top 1% performer in every endeavor he has taken on. His consecutive success has lead him to coach more than 50 separate businesses in different industries as well as be a keynote speaker about philosophies for success and sales for as many as 100 entrepreneurs at a time. Oliver's top performance has earned him prestigious awards such as the "Leadership" award for being the top influential leader within his organization and the "Manager of the Year" award for having top revenue, profit and customer satisfaction out of 112 other franchises across Canada within the organization. When he isn't out solving problems and creating win-win relationships, Oliver invests his time in being athletic through rock climbing, basketball, soccer, frisbee or hitting the gym; you may also find him meditating on the roof of a 15 story building, although you probably shouldn't go try to say hi if you see him there because he definitely didn’t get there by the stairs! He is currently building The Wolf Syndicate into an Empire of Integrity, Transparency and Open-Mindedness. You can reach him at OliverWolf@thewolfsyndicate.com. 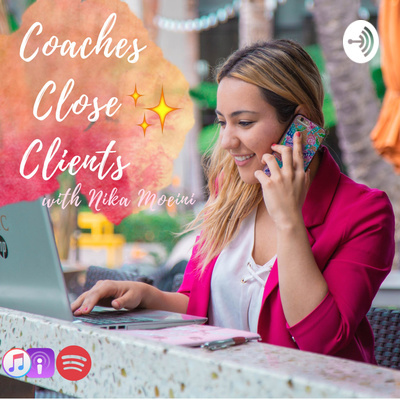 In this episode Christina shares with us how to turn our gifts into a scalable coaching program perfect for our ideal client! We chat about feminine leadership, understanding your ideal client, and so much more! Want to learn more about working with Christina and the Embodied Influencer? Her program is amazing for new coaches just starting out, and as one of her current clients, I have only amazing things to say about working with her! Head over to www.embodiedinfluencer.com to learn more! Start scaling your coaching business by outsourcing your sales calls today: www.meetme.so/coachescloseclients Become a CEO Coach in your business and take charge of your sales and marketing: www.calendly.com/closerscollective Join our Facebook group for exclusive trainings and to be a part of our community: https://www.facebook.com/groups/251118932246795/ Christina Elizabeth is a Witch in Business. She is the Co founder of the Embodied Influencer and founder of Awaken Your Magic. She loves coaching and loves to help her clients reach new heights of success in both their income but especially in their connection to themselves. For 11 years, she had been in and out of entrepreneurship- always believing in love, courage and magic. It's her mission to activate others to stepping into their truth and building a better world where we are connected to each other, the planet, and all the unseen. She has experienced first hand what happens when you overcome trauma and use it a fuel to better your life. Through her programs she helps coaches/healers and entrepreneurs to create successful and heart aligned online coaching businesses. She also helps high achieving women to embrace their feminine leadership and awaken the witch within. Her experience in both magic and business will help you bridge the worlds and create success and impact for you. Schedule a call with us: https://www.meetme.so/coachescloseclients Join our Facebook group: https://www.facebook.com/groups/251118932246795/ Demi Price is a success mentor for coaches helping them scale to 6 figures. She shares some of her top tips for new coaches in this podcast, and how new coaches can find confidence in their work. Schedule a call with us here: www.meetme.so/coachescloseclients What do "fiercely unstoppable" sales look like? Brooke Allison is a Mind Shift Coach and Achievement Strategist, she helps badass women master their confidence, find clarity, and up level their cash flow so they can create a business and a mindset that is fiercely unstoppable! She helps her clients design a purpose filled business, raise their prices, hit high level income goals, and truly mixes mindset and strategy to get massive results! Brooke believes that confidence is the key to everything you want in your life! With clarity, confidence, and strategy you become unstoppable towards your deepest desires and create a lot more abundance in your life! Her mission is to empower entrepreneurs to step into their most powerful selves and live out their soul desires with a business and a life they are obsessed with. She is also the founder of Brooke Allison Coaching and the podcast, Fiercely Unstoppable, which is all about helping entrepreneurs become fiercely unstoppable in the pursuit of what sets our soul on fire through confidence, clarity, and strategy! 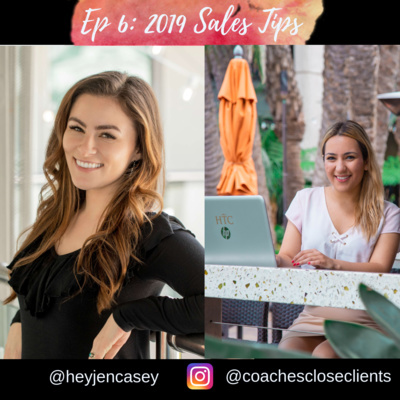 Jen Casey is a social media to sales expert and host of the Inner Boss podcast. 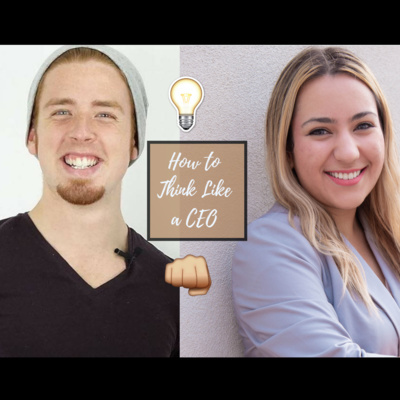 In this episode we're joined by David Paré from The Embodied Influencer to chat about how to think like a CEO in your coaching business. David works with coaches who want to level up their impact and income through creating, marketing, and closing their own high ticket programs. You can connect with David on Facebook: https://www.facebook.com/david.pare.965 And join his group here: https://www.facebook.com/groups/LevelUpYourImpact/ Apply to work with our team: https://www.closerscollective.com/apply Join the Coaches Close Clients Facebook group: https://www.facebook.com/groups/251118932246795/ Check out the podcast here: https://anchor.fm/coachescloseclients Make sure to subscribe for more great content! Ep 2: An Obligation To Sell?